Technology is ever changing & advancing. Hot Hot Hot leads the pack in offering the most cutting edge technology the industry has to offer. Whether it’s an elegant atmosphere, a high energy club feel or if you just wanna blow your guests away, our design team can make your vision a reality. 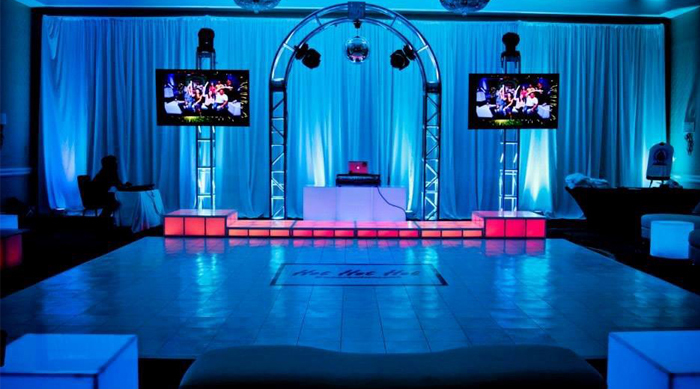 Choose from our High Tech LED Dance Floor, to our our Elegant White Starry Lit Dance Floor, or our Black and/or White Floor will have an incredible impact at your event. Absolutely AMAZING! Vibrant LED technology that will really WOW your guests! Black background curtain with high intensity LED lights that display/scroll special effects & any text: Guest of Honor name, Candle Lighting names, Well wishes, anything you like. 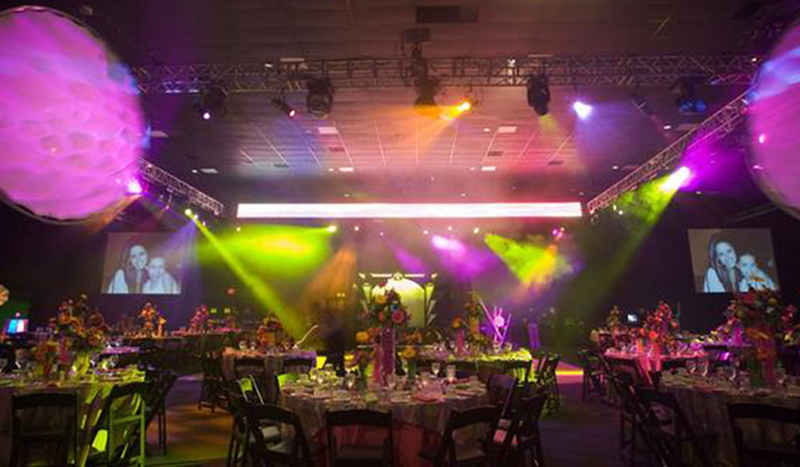 LED Uplighting, also known as color washing, will transform the look and feel of any space. Hot Hot Hot’s state of the art wireless LED uplights can be placed anywhere highlighting ceilings, walls, columns, and architectural elements with the subtle or deep striking color(s) of your choice. Strategically placed, uplights can completely transform a dull lifeless space into vibrant and colorful! (2) 70inch LED TV’s Mounted on Upright Trussing. Will Display Guest(s) of Honor Logo, Showing of montage, any additional Pictures & media, Special Effects Graphics, Live Video Simulcast of Party. The atmosphere of any space can be completely transformed with the use of artistic effects lighting. 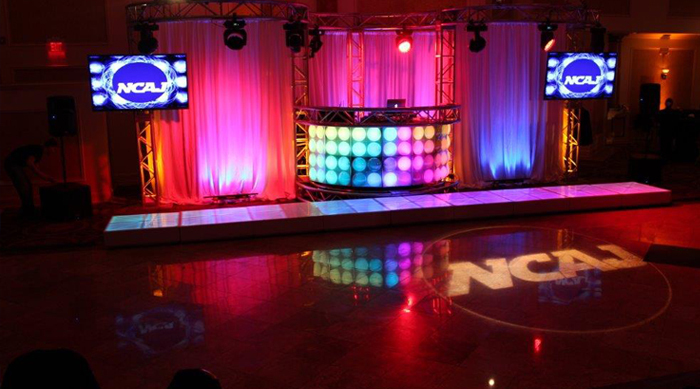 Whether it’s the use of pin spot lighting to highlight centerpieces, uplighting to accent spaces, draping, overhead trussing, or intelligent lighting to create a club feel on the dance floor, Hot Hot Hot’s Lighting professionals will gladly assist in creating the perfect ambiance you envision. A popular trend for all types of events. The options are endless! Choose a few pieces for cocktail hour or perhaps, have a “kid’s lounge” in lieu of traditional style seating. This growing trend is extremely popular with both kids and adults. 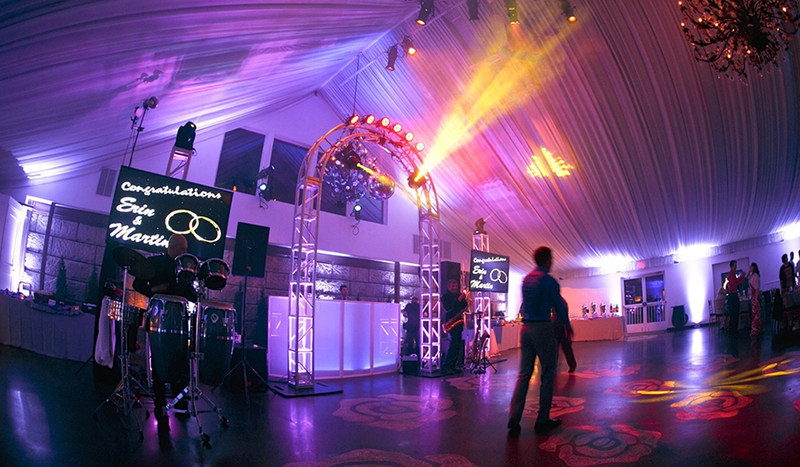 Our design staff will gladly work with you in creating the perfect party atmosphere!